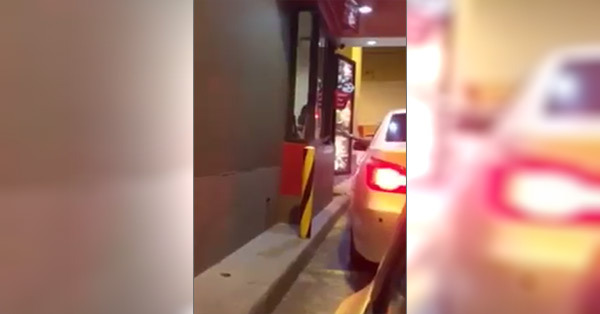 Going viral on Facebook is a video that captured a motorist-customer berating and humiliating a female Jollibee Drive Thru service crew. A certain Shen Jarlegas posted the video on Sunday afternoon, January 3, and said she felt sorry for the service crew, noting that anyone has no right to put a person to shame for whatever reason. The customer, who was driving a BMW car, apparently got angry because the fastfood restaurant employee did not follow his instruction not to include cheese in his cheeseburger. Jarlegas said the service crew was holding back her tears when she took her order. The viral video has been viewed more than 22,000 times as of 11:25 a.m. Monday, January 4. Netizens called the angry Jollibee customer "arrogant" and "rude." One even challenged him to go to Tondo, Manila to find his match.